Eleven miles by ferry from Perth is Western Australia’s “premier tourist destination”. This is Rottnest Island, whose scabrous wild beauty and isolation evoked, for me, Robben Island in South Africa. Empires are never short of devil’s islands; what makes Rottnest different – indeed, what makes Australia different – is silence and denial on an epic scale. “Five awesome reasons to visit!” the brochure says. 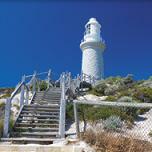 These range from “family fun” to “historical Rottnest”. The island is described as “a guiding light, a defender of the peace”. In eight pages of prescribed family fun, there is just one word of truth – prison. That Australia has since changed is not disputed. To measure this change, a visit to Western Australia is essential. The vast state – our richest – is home to the world’s biggest resources boom: iron ore, gold, nickel, oil, petroleum, gas. Profits are in the multiple billions. When the former Labor prime minister Kevin Rudd tried to impose a modest tax, he was overthrown by his own party following a A$22m (£14.6m) propaganda campaign by the mining companies, whose mates in the media uphold the world’s first Murdocracy. “Assisted by Rio Tinto” reads the last line of an unctuous newspaper article on the boom’s benefits to black Australians. At airports passengers are greeted by banners with pictures of smiling Aboriginal faces in hard hats, promoting the plunderers of their land. “This is our story,” says the slogan. It isn’t. Barely a fraction of mining, oil and gas revenue has benefited Aboriginal communities, whose poverty is an enduring shock. In Roebourne, in the mineral-rich Pilbara, 80% of the children suffer from an ear infection called otitis media, which can cause partial deafness. Or they go blind from preventable trachoma. Or they die from Dickensian infections. That is their story. The Nyoongar people have lived around what is now Perth for many thousands of years. Incredibly, they survive. Noel Nannup, a Nyoongar elder, and Marianne McKay, a Nyoongar activist, accompanied me to Rottnest. Nannup’s protective presence was important to McKay. Unlike the jolly tourists heading for “Rotto”, they spent days “preparing for the pain”. “All our families remember what was done,” said Noel Nannup. What was done was the starving, torture, humiliation and murder of the first Australians. Wrenched from their communities in an act of genocide that divided and emasculated the indigenous nations, shackled men and boys as young as eight endured the perilous nine-hour journey in an open longboat. Terrified prisoners were jammed into a windowless “holding cell”, like an oversized kennel. Today, a historical plaque refers to it as “the Boathouse”. The suppression is breathtaking. In the prison known as the Quod as many as 167 Aboriginal prisoners were locked in 28 tiny cells. This lasted well into the 20th century. The prison is now called Rottnest Lodge. It has a spa, and there are double bunks for children: family fun. I booked a room. Noel Nannup stood in the centre of the room and described its echoes of terrible suffering. The window looked out on to where a gallows had stood, where tourists now sunbathed. None had a clue. A “country club” overlooks a mass grave. One psychopath who ran the Quod was Henry Vincent. He liked to whip prisoners and murdered two of them, an inquiry was told. Today, Vincent is venerated as a “pioneer”, and tourists are encouraged to follow the “Vincent Way heritage trail”. In the Governor’s Bar, the annual Henry Vincent golf trophy is displayed. No one there had a clue. Rotto is not the past. On 28 March Richard Harding, formerly inspector of custodial services, declared Western Australia a “state of imprisonment”. During the boom Aboriginal incarceration has more than doubled. Interned in rat-infested cells, almost 60% of the state’s young prisoners are Aboriginal – out of 2.5% of the population. They include children. A former prisons minister, Margaret Quirk, told me the state was now “racking and stacking” black Australians. Their rate of incarceration is five times that of black people in apartheid South Africa. Black Australians are stereotyped as violent, yet the violence routinely meted out to them by authority is of little interest. An elder known as Mr Ward was arrested for driving under the influence on a bush road. In searing heat, he was driven more than 300 miles in the iron pod of a prison van run by the British security company GSL. Inside, the temperature reached 50C. Mr Ward cooked to death, his stomach burned raw where he had collapsed on the van’s scorching floor. The coroner called it a “disgrace”, yet the Department of Public Prosecutions refused to take action, saying there was “no evidence”. This is not unusual. The two security van drivers were eventually fined under Health and Safety rules. Eco-tourism is also booming. The Kimberley region is popular with Europeans. Last year, 40 Aboriginal youngsters killed themselves there, a 100-fold increase. When I first reported on indigenous Australia a generation ago, black suicide was rare. Today, the despair is so profound that the second cause of Aboriginal death is suicide. It is booming.